She has been a subversive her entire career and at least since college when she was in contact with Saul Alinsky. 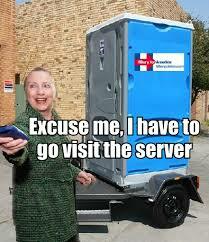 Espionage is part and parcel of her criminal resume' and keeping secret classified American documents on her own personal server wasn't a matter of convenience, but a matter of handing over classified information to foreign governments. The only thing possibly worse for the sovereignty of America is if she is selected President which would make for back to back full-fledged communist traitors in the White House. -W.E. Recently, I wrote an article in which I asserted that Hillary Clinton was at best, a double agent working with the Russian KGB and the CIA. However, she has recently focused on What led me to make such an outrageous claim? I cited a New York Times article which documented how the BLM was stealing Uranium from American ranch land and then selling that uranium to our enemies, the Russians, through a front company called Uranium One. Both of the Clintons’ have a long history of questionable criminal associations. Because this is an article and not a book, I will use the Hsu case as an example of the many criminal associations that Hillary Clinton has participated in. 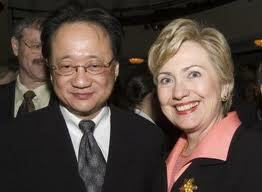 The infamous Norman Hsu became one of Hillary’s biggest fundraisers in which he donated over $850,000 to her campaign, and his donations continued to the day that Hsu surrendered to the California State Superior Court after being found guilty of a Grand Theft conviction. Hsu had been a fugitive from justice for over 15 years. Hsu became a fugitive when he failed to appear for sentencing by the court after pleading no contest to the Grand Theft charges. You might want to loosen your collar and adjust your eyeglasses. This means that Hillary Clinton was accepting money from a convicted criminal who was evading justice during the same exact time frame. Hsu’s crime was connected to raising more than a million dollars from investors for a phony business scheme which didn’t exist. And true to the criminal nature of the Obama Administration, Hsu also gave $18,000 to Barack Obama election campaign. Doesn’t that make Hillary an accessory after the fact? Same song, second verse. One is judged by the company one keeps and it is just a short hop, skip and a jump to the treason that the Clinton’s have graduated to. It would appear that there are plenty of tin foil hats to go around. During her 4 years as Secretary of State of the United States (2009-2014), Hillary Clinton controlled US foreign policy. She had access to the most confidential information and state documents, numbering in the tens of thousands, from all of the major government departments and agencies, Intelligence, FBI, the Pentagon, Treasury and the office of the President. Clinton’s covert war policies, which included the violent overthrow of the elected Ukraine government, were carried out by her ‘Lieutenant’ Under-Secretary of State Victoria Nuland, a virulent neo-conservative holdover from the previous Bush Administration and someone committed to provoking Russia and to enhancing Israel’s power in the Middle East. Clinton’s highly dangerous and economically destabilizing ‘brainchild’ of militarily encircling China, the so-called ‘pivot to Asia’, would have required clandestine exchanges with elements in the Pentagon – out of the State Department and possibly Executive oversight. My main interest toward Hillary Clinton has recently focused on one issue, namely, Clinton’s foundation selling uranium to Russia. I would argue that Clinton’s policies which pushed the US into a war mode against Russia was done so Clinton would have a willing buyer of uranium (i.e. Russia) should war every come. Since I have written my original article which accuses Clinton of being an agent for the KGB, I have been both vilified and vindicated. This is all fine for one’s personal ego. The fact remains that this country could be electing a heinous traitor to the White House who operates just like an organized crime thug. This fact overshadows personal ego or anything else. This is about the future of our country. How could I assert that Clinton works for the KGB. 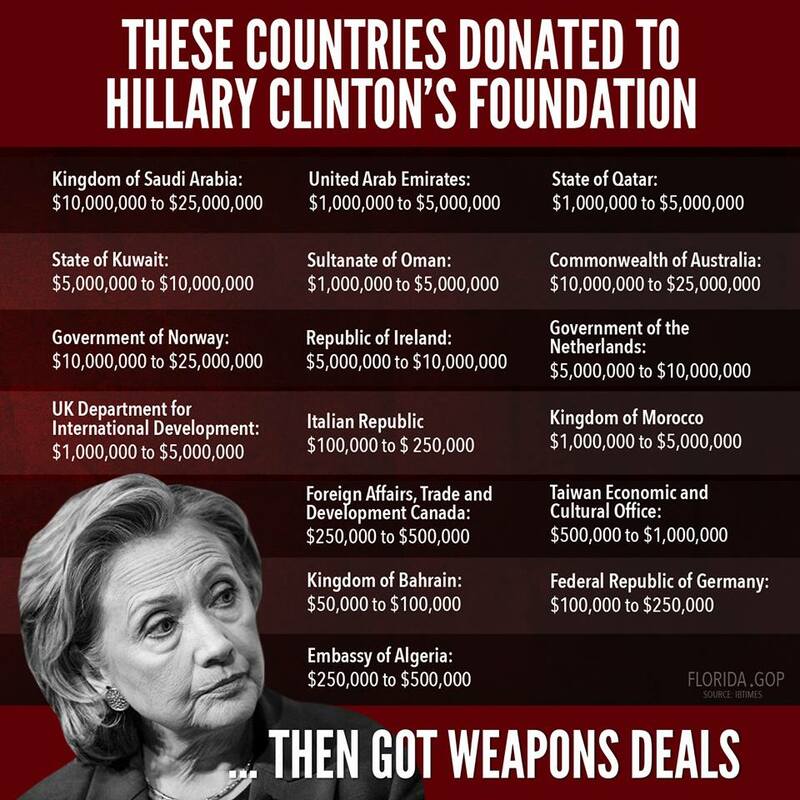 Who did her foundation sell uranium to? The answer is Russia. This is uranium that can be used as a nuclear weapon against the American people. And in case you forgot, Russia has once again become our mortal enemy and Benedict Clinton is supporting them much to our detriment. The evidence continues to mount that Clinton is a foreign operative, or more accurately as Global Research calls her, a spy. The Independent media desperately needs to make Clinton’s treason a campaign issue on a daily basis. It is impossible to overstate the importance of this point. America is heading into uncharted waters. This is the stuff that pushes nations into civil war because of the polarizing effect. “This town is not not big enough for both of us” accurately describes the state of the pro-Clinton forces vs. the anti-Clinton forces. And I have not even started on Benghazi, yet.